“We would also like to say that the Bedford Lodge was the perfect choice. It made our most memorable milestone wedding reception. Jonny A and his team did a sterling job looking after us all, nothing was any trouble. Our guests simply had a most wonderful time too, they all loved it and were so happy, which makes us all happy. You made a lot of planning and ideas become a reality and dream come true. Your enthusiasm, and your staffs for our special celebration and our time spent with you was very touching, including the many afternoon teas, and evening meals preceding the event since January. Our wedding was fantastic, I don’t think we would change anything. The venue was beautiful, the food was fabulous and the service was second to none. Everyone enjoyed the day and all were impressed with Bedford Lodge. Thank you for making our day so special. A big thank you for making our wedding day so special. In all honesty, the whole process from start to finish has blown us away! Nothing was too much trouble, you responded quickly to our enquiries, including last minute changes to our menu to meet the dietary requirements for one of our guests. It was a small affair but throughout the day staff were on hand but were not intrusive. Our guests were equally impressed remarking that it was one of the best weddings they’ve attended. Finally, our hotel suite was amazing! We had a fabulous wedding day and can safely say that Bedford Lodge Hotel & Spa exceeded our expectations, with the addition of beautiful weather! The service we received from you and both Jonnys was friendly and professional, with everything organised to perfection. We received numerous compliments from our guests about the venue, staff and food so cannot thank you enough! Thank you, Rachel & Jonny, for all your help making our day special. It was perfect. The food was amazing and the Bedford Lodge Hotel & Spa provided such a relaxing atmosphere for all the guests to enjoy. We received many compliments about our choice of the venue, thank you. The wedding was absolutely amazing, we had such a great day and we’d like to thank you all for making it run smoothly and efficiently. The venue looked so beautiful and all of the staff couldn’t do enough for all our guests, we had so many compliments regarding the lovely staff so a big thank you there as well. Just wanted to say a massive thank you for what was a truly amazing day last Friday. We could not have hoped for a better day. All the staff were incredible. The venue was amazing we only wish we could re live last week. Thank you once again for helping us to have the day we will always remember. Thank you for your email. I had planned to send you a letter this week but you have beat me to it. We had the most wonderful wedding celebrations, from the minute we arrived on the Friday to when we eventually left on Tuesday. It was more than we imagined it to be and we could not have wished for more. 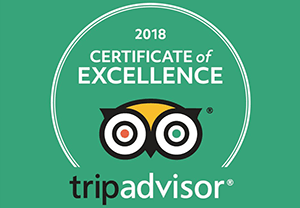 Importantly, all of our guests had a fantastic time and they absolutely loved the hotel and how helpful all of the staff were; I am sure some of them will be visiting again. Please pass our heartfelt thanks onto everyone involved in making our day so special, especially Jonny who was absolutely great and worked so hard for us. A special mention to Martin the concierge, what a lovely man, so helpful and friendly and also to Alice who worked behind the bar at the evening reception. And, last but not least Manfred from Squires Restaurant who made Friday night such a great night for all of our guests (also the Sunday night too). I am sure there are many more so please do pass our thanks and gratitude to those above and anyone else that deserves it. I am sure Bedford Lodge will become a regular venue for us to visit so hope to see you again. I just wanted to say a big thank you to you and your staff. Zac and myself had an amazing wedding day, and wouldn’t have changed a thing! It was so nice to not have to worry about anything on the day. The little additional touches were lovely (Batman Logo shadow on table). The room looked amazing all day! All of our guests had a great time and all said how wonderful the venue, food and staff were. Thank you again! Would defiantly recommend you to anyone who asks. My daughter and I attended a wedding on Friday, which we thoroughly enjoyed. I just wanted to say how well your staff have been trained, they were so efficeient and friendly. I hope we shall be able to visit again. We would like to say a big thank you to you all for making our special day memorable. Everything was perfect, it couldn’t have been a better day. All my family and friends were very impressed with everything, well done!! It was perfect!! Thank you for your e-mail and the congratulations, it’s really sweet of you. You were asking if everything from our wedding was as we imagined. Well, no. Not really. It was SO MUCH BETTER. We realise how hard it must have been for you and your staff organising everything so perfectly. The lunch was perfect and the food amazing. Yes, it took us less time than expected but the decision to swap the cheese and biscuits before the ceremony was the perfect move and allowed to catch up on perfect timing. You and your staff have been amazing in quickly changing around the schedule. The ceremony was just perfect, so cuddly and emotional. The room was of perfect size. No one had realised that you were changing the room during the ceremony. We didn’t hear a whisper. That was seriously so impressive! When we stepped into the Cambridge room again, Eloise, it was like stepping into a dream. The atmosphere changed so much, it sounds ridiculous to say it but it really transported us in a wonderland and we are so very grateful to you all. It is part of an emotion that we will never forget.